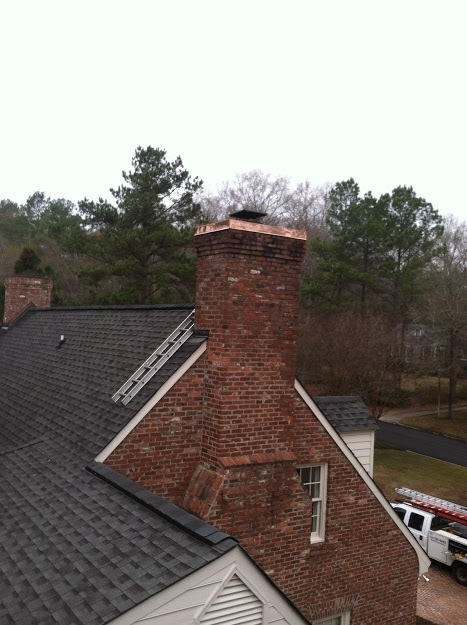 Many of the repair calls we get from homeowners involve their chimney. Many times the source of the leak is not the roof or the flashing around the base of the chimney but the cap at the top of the chimney. Typically chimney caps are made of unfinished galvanized metal that are fastened with screws through the top of the cap. Over time the sealant used to seal the screws fails and the metal starts to rust. 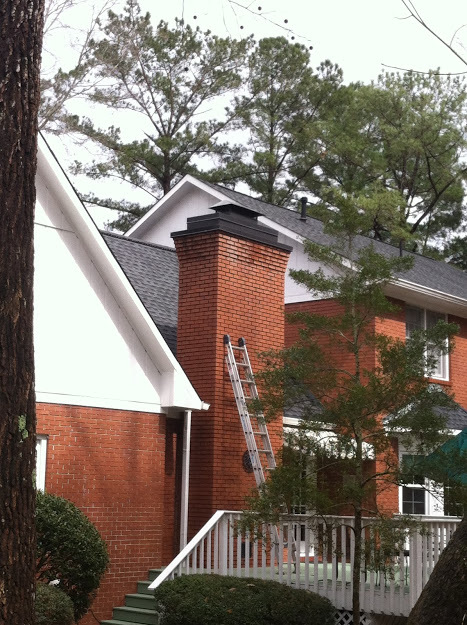 Schwartz Residential Roofing installs chimney caps in Macon, Warner Robins, Forsyth and throughout Middle Georgia. Our caps are custom fabricated from pre-finished metal or copper and we never fasten the cap through the top. 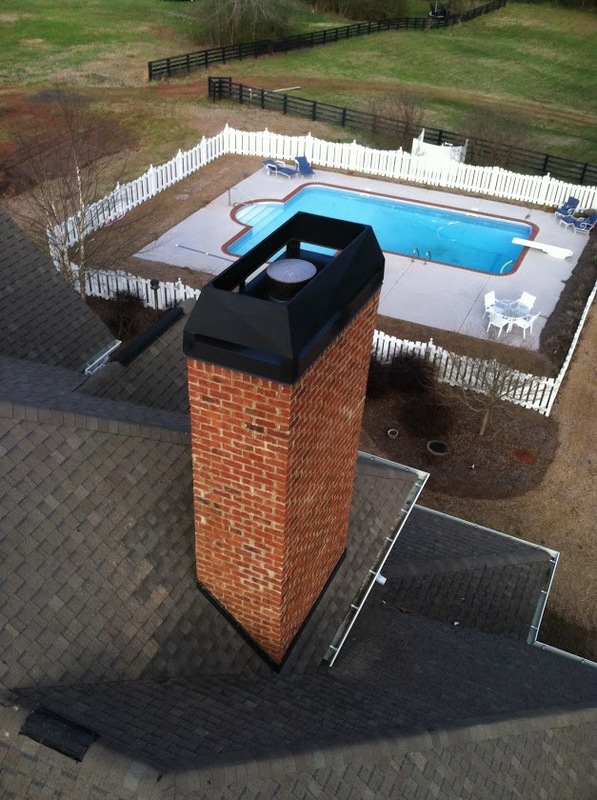 We can fabricate and install custom chimney shrouds to hide flue caps. 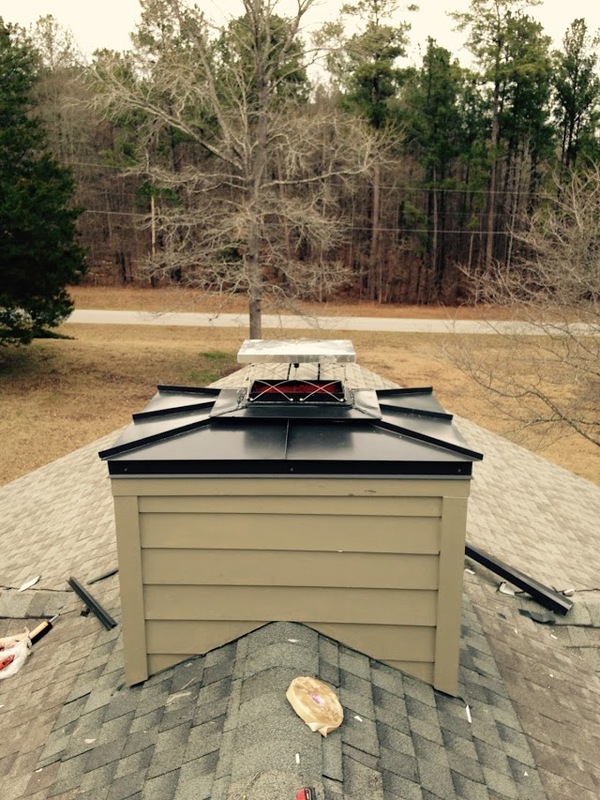 Our experienced fabricators and installers can handle any chimney shroud and cap.